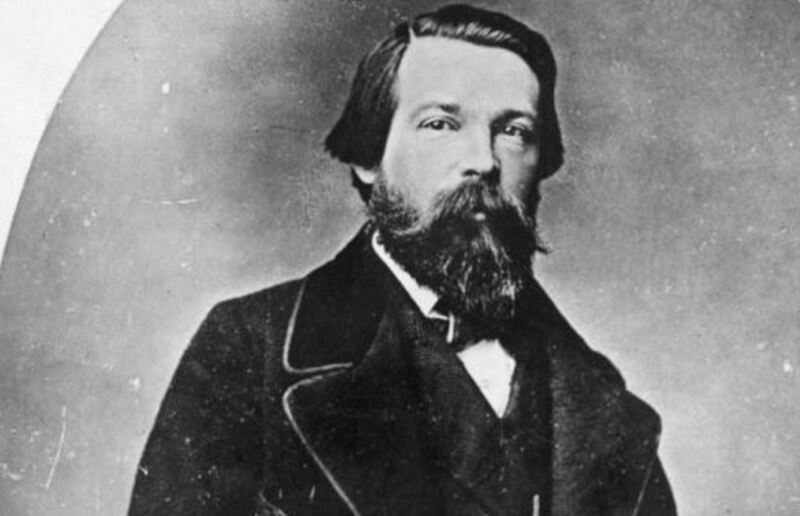 On the occasion of his birthday, let’s celebrate the incredible contributions of Marx collaborator Friedrich Engels. The 1980s were to see the birth of an ecosocialist tradition within Marxism. In first-stage ecosocialism, represented by the pioneering work of Ted Benton, Marx and Engels were criticized for not having taken Malthusian natural limits seriously enough. However by the late 1990s the debates that ensued had given rise to a second-stage ecosocialism, beginning with Paul Burkett’s Marx and Nature in 1999, which sought to explore the materialist and ecological elements to be found within the classical foundations of historical materialism itself. These efforts focused initially on Marx, but also took into account Engels’s ecological contributions. This was reinforced by the new MEGA (Marx-Engels Gesamtausgabe) project, in which Marx and Engels’s natural-scientific notebooks began to be published for the first time. The result has been a revolution in the understanding of the classical Marxian tradition, much of it resonating with a new, radical ecological praxis evolving out of today’s epochal crisis (both economic and ecological). The growing recognition of Engels’s contributions to science along with the rise of ecological Marxism have sparked a renewed interest in Engels’s Dialectics of Nature and his other writings related to natural science. Much of my own research since 2000 has focused on the relation of Engels — and others influenced by him — to the formation of an ecological dialectic. Nor am I alone in this respect. Political economist and ecological Marxist Elmar Altvater recently published a book in German addressing Engels’s Dialectics of Nature. Let us not, however, flatter ourselves overmuch on account of our human victories over nature. For each such victory nature takes its revenge on us. Each victory, it is true, in the first place brings about the results we expected, but in the second and third places it has quite different, unforeseen effects which only too often cancel out the first . . . Thus at every step we are reminded that we by no means rule over nature like a conqueror over a foreign people, like someone standing outside nature — but that we, with flesh, blood, and brain, belong to nature, and exist in its midst, and that all our mastery of it consists in the fact that we have the advantage over all other creatures of being able to learn its laws and apply them correctly. For Engels, as for Marx, the key to socialism was the rational regulation of the metabolism of humanity and nature, in such a way as to promote the fullest possible human potential, while safeguarding the needs of future generations. No wonder, then, that we are seeing, in the twenty-first century, the return of Engels, who, along with Marx, continues to inform the struggles and inspire the hopes that define our own crisis-ridden, and necessarily revolutionary time. John Bellamy Foster is the editor of Monthly Review and a professor of sociology at the University of Oregon.